Take a look at our shop. We take pride in every detail and welcome you inside our auto shop. Hopefully this provides you with confidence that your vehicle is in good hands. At Lorton Auto Service Center we have been providing vehicle maintenance and repairs for multiple years. We are a small family owned business and will treat every customer as part of our own family. We provide excellent service with constant training and convenience by providing appointment based work schedule. 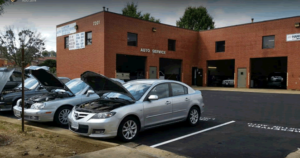 We are located in the Alexandria / Lorton / Kingstown / Springfield / North Fort Belvoir area of Northern Virginia and offers full repair and general maintenance services for cars and trucks. Foreign or domestic, new or old, production or custom, we can fix it! Our Labor rate is about 20% less than the competition – Compare and SAVE! Our Tech-Net 24 month / 24k mile warranty covers most repairs anywhere in the USA and covers towing and car rental when you are more than 25 miles from us. Regardless of whether your car is worth $1,000 or $100,000 we will treat it as if it was our very own.